Last weekend, we got the bulk of our seeds planted. 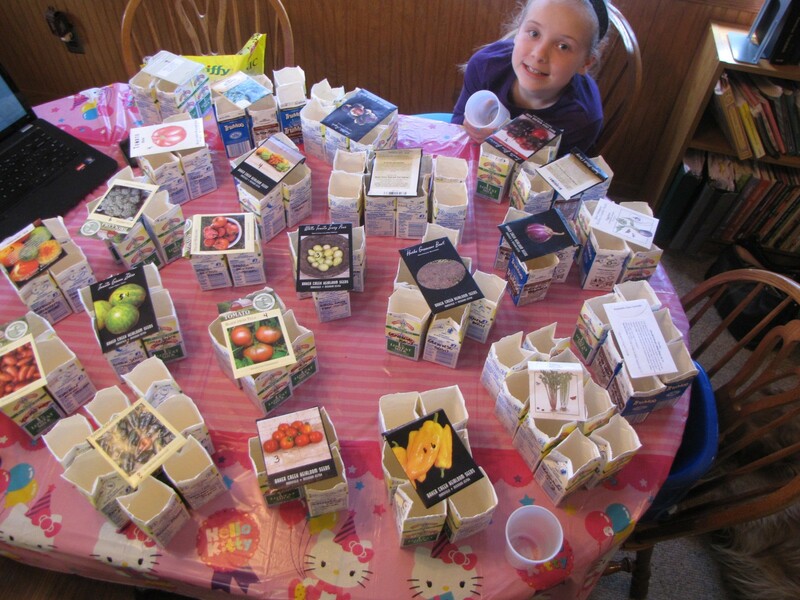 Our daughter’s awesome preschool teachers saved milk cartons for us for a few weeks – a great big THANK YOU to them! 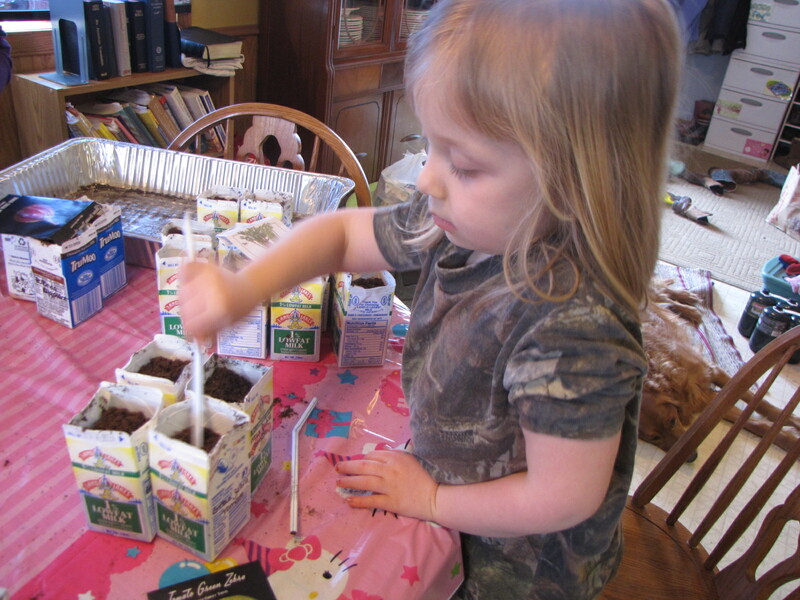 We used the milk cartons and the seed starting mixture from Walmart. 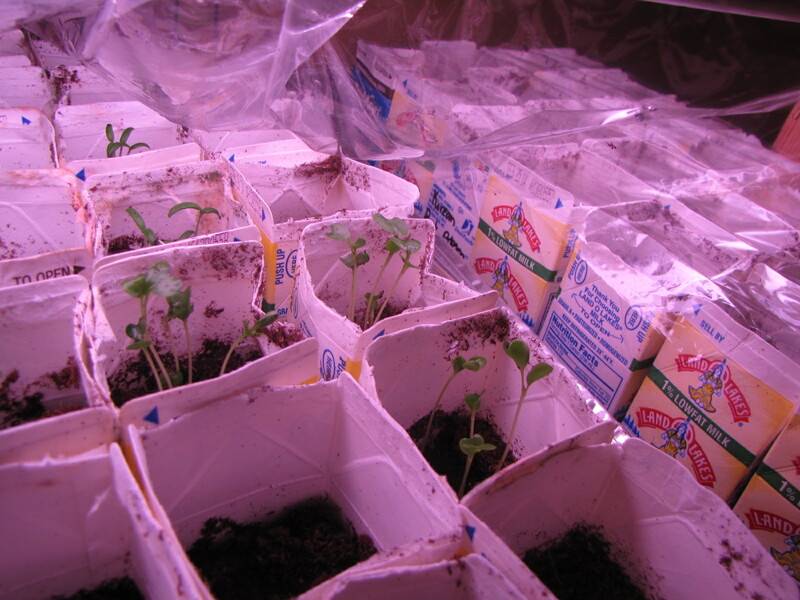 We fill the cartons with the seed starting dirt, make a whole and put in roughly 3 seeds. Fill the hole loosely with dirt, water (not too much) and cover with plastic wrap. Last year I started using big tin foil lasagna pans (also from Walmart) and they work great to keep all the plants contained and generally under our grow lights. I am not sure how many plants we started yet, but I would estimate it is around 200. This year we ordered our seeds from Baker Creek Heirloom Seeds and Seed Savers Exchange. This is in addition to seed that we saved from last year. 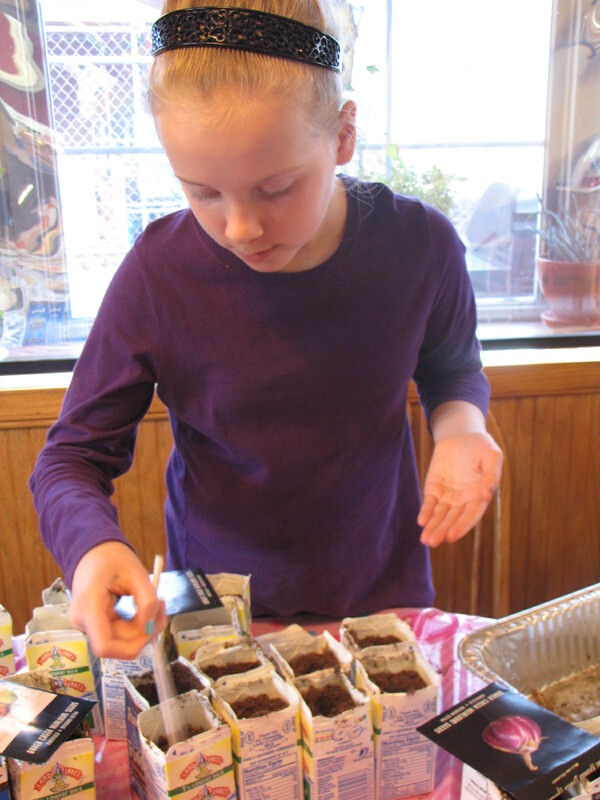 I am also ordering seeds from Turtle Tree Seeds, Bountiful Gardens and Horizon Herbs. We have ordered from them in the past and have been very happy with quality. I also thought I’d share a few of the varieties that I’m the most excited about: Black from Tula tomato, Ivory Pear Tomato, Syrian 3 Sided Pepper, Cour di Bue cabbages and Genovese Basil. 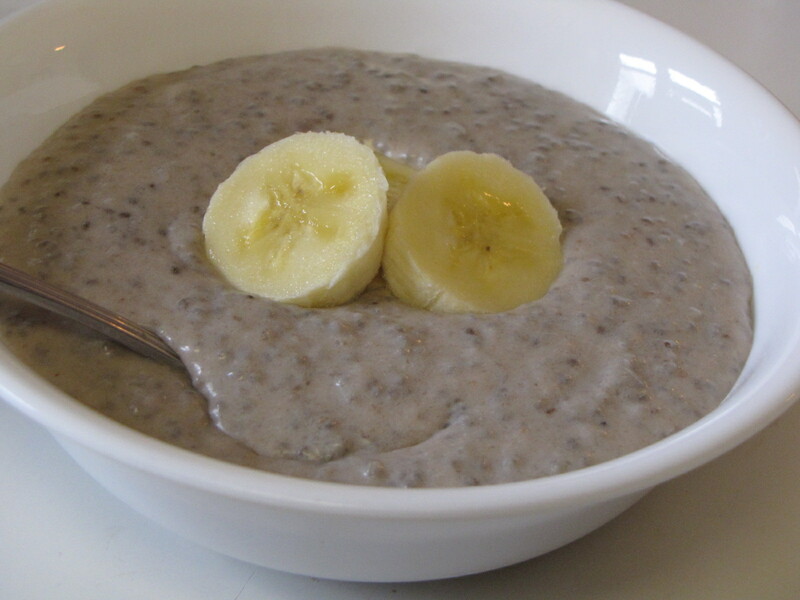 You could have this for a good, healthy breakfast, snack or dessert. Top with sliced bananas, chopped walnuts, whatever you want. 🙂 Enjoy!